Never Enough Nails: Sally Hansen ManiMatch App! NEW YORK, NEW YORK. 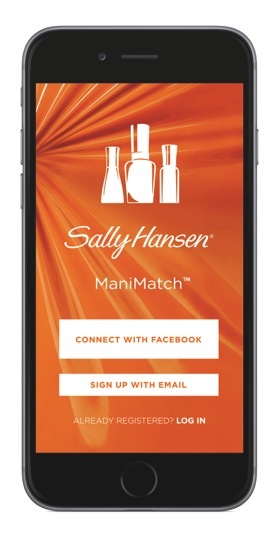 Building on next-generation augmented reality technology, Sally Hansen the #1-selling nail color and nail care brand in the US is transforming the shopping experience with the new ManiMatchTM mobile app. Users can try on the rainbow of over 200 Sally Hansen nail polish shades in real time, on their nails, before they buy. A simple scan of the user’s hand from any smartphone enables the user to instantly consider and curate her own color choices. There’s no uploading, picture-taking or manual data entry, as the app works in real time. It also generates personalized-for-her-skin-tone color suggestions on demand; using cutting-edge, proprietary technology, the app senses and analyzes the pigments in each user’s hand, then matches its polish-shade suggestions to the ones optimally flattering to her skin.